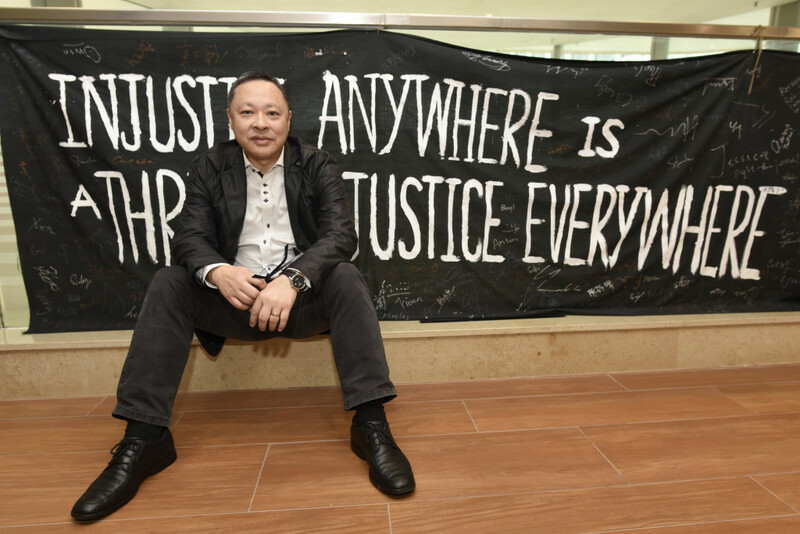 Embattled University of Hong Kong law professor Benny Tai has said he fears for his personal freedom and suspects he is under surveillance. His comments came after a photo of him appeared in a pro-Beijing newspaper, despite him checking that he was not being followed. Tai was recently condemned by the Hong Kong and central governments over hypothetical comments about Hong Kong independence. 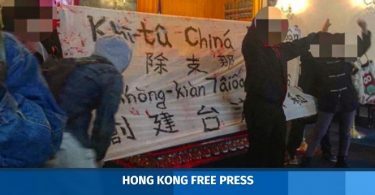 He said he suspected he was being monitored by “powerful agencies” related to China, referring to those who may have “kidnapped” Hong Kong booksellers. Tai said he realised he was being followed by reporters from the state-owned Ta Kung Pao newspaper last Saturday, after spotting pictures of himself out dining with friends. Benny Tai. Photo: Citizen News. He said that, on Sunday, he carefully checked to see if there were any suspicious vehicles after he left his flat in his car. However, by the next day, he noticed that Ta Kung Pao had printed a photo of him in a car park in Central. He had been at a nearby building for around 50 minutes. Tai said he suspected that, if reporters had not followed him from his flat, his computer, phone or his car may have been monitored. 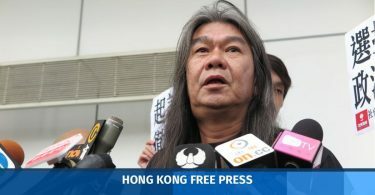 Tai said he may be over-sensitive or may have failed to see reporters’ cars following him, but he has nevertheless feared for his personal freedom. “If you ask me why I did not go to the police, I can only say that – if it was the work of powerful agencies – Hong Kong police cannot help. I may be charged with a false police report or wasting police resources. Thus, I can only seek help from Hong Kong people,” he said. Tai, one of the founders of the 2014 pro-democracy Occupy protests, attended a forum in Taiwan last week. He told the audience that, should China become a democratic country, different groups in China could consider becoming independent countries, or parts of a federation or confederation. The government then issued a rare statement last Friday saying that it was “shocked” by Tai’s remarks and strongly condemned them. The China Liaison Office in Hong Kong and the Hong Kong and Macao Affairs Office in Beijing both issued statements condemning Tai. The overseas edition of state mouthpiece the People’s Daily printed a commentary urging the government to take action against Tai, saying he violated the Crimes Ordinance’s section on seditious intention. Pro-China groups also protested at his university demanding he be sacked.